This is frustrating for a mysql user to take a database dump when they try to do the same in sql server. 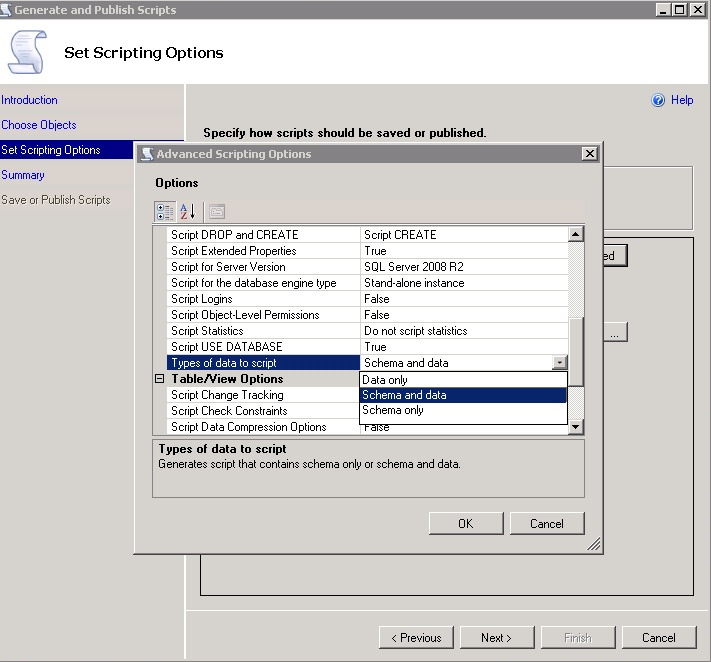 Here is the one of the optimal way for a mysql user working for sql server. Right Click on database -> Tasks -> Generate Scripts..
Later on give the path and file name for generating the script. Now question is how to run this script? 2. Open the generated script file in a query window and just run them in one go. Just like you run a simple query. But you are advised to do provided its a small sized file. Working either with Biztalk or Mirth, you are required to remember the path for dropping a file to receive port(location) or viewing the output file to send port. You get frustrated every time to browse such a long path. This utility will allow you to browse such folders using just single click. Here is the damn shortcut using DOS command in a batch file. “START” command runs the service into a separate window. In the code below, define all your receive folders under Option sections dedicating them to specific numbers. Save this file in your desktop using .bat extension. Just double click on the batch file. Rest will guide you automatically.